Hong Kong Printing Company - China. Printing in China, Printing in Hong Kong. Welcome to Regal Printing Hong Kong. We are books printing company and paper products manufacturer. We provide full printing service to the worldwide based on productions in Hong Kong and China. 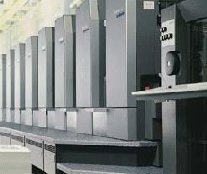 From Large Volume Offset printing to "Print on Demand" digital printing. Printing in Hong Kong, Printing in China, Asia for less. Regal Printing is a Hong Kong and China Printing Company providing Full Offset Printing Services of paper products. Printing product ranges from Soft Cover Books, Hard Cover Books, Pop-ups Board Book, Children's Books printing , Magazines, Novels, Game Box Sets, Board Books, Commercial Catalogues , Comic Book , Text Book printing, University Press, Card Box Sets, Greeting Cards, Page-A-Day Calendars, Wall Calendars , Novelty Projects, Book Plus, Packaging , Wire-O Books, Gift Box and etc. See our Products Pages for more information. We are one of the most well set-up and cost effective Book Printers in China, Hong Kong. As you can find there are many Books, Printed Products were printed in Hong Kong / printed in China . If you are looking for offshore printing, overseas printing to lower your printing costs with High Quality Offset Books Printing, Packaging Printing, Children's Books Printing, drop us a Printing Quotation in our Quotation Page. If you are looking for high quality Hong Kong Printer / Chinese Printer, Printing Services in Hong Kong / China, China printing company, Books Printing, Children's Books Printing, Children's Board Book Printing, Pop-ups Books, Novelty Printing, Calendars Printing, Journals printing, Hard Cover Book and other Offset Printing products, visit our printing products pages you will find the wide range of printing products we produced.